TriggerNote: Give Your Website an "Interaction Engine"
Plus Exit Intent Popups, Exit Interstitials, image and content replacement, and more. Create your own custom interactions! What if your website could do more than just sit and wait to get clicked? What if it interacted with each unique visitor in just the right way, at just the right time, guiding their attention and actions right where you want them to go? TriggerNote is a powerful Website Interaction Engine that makes your site more dynamic using customizable Triggers, Actions and Selectors. Catch and keep the attention of visitors who are leaving your site. Interact based on mouse movement, clicks, scrolling, etc. Display different content to first time vs. returning visitors. Stop wasting your best screen real estate showing ads to people who have already responded to them. Automatically update seasonal or time-based content based on the day of the week, time of day, month, etc. 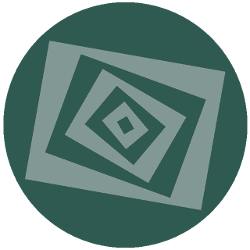 "Parallax scrolling" (scrolling different parts of the page such as background images at different speeds than the rest of the page), and other animation effects. Use any of our built-in Recipes to easily create customized lightboxes, floating bars, slide-ins, exit intent popups, exit interstitials, and more. Many customization options can be found right in the Recipe dialog. And you can always make more changes, big or small, after the Recipe has been applied. Manually specify which TriggerNote widgets to display on each page, or use Selectors in the control panel to automatically choose different content for different people based on all sorts of criteria. Your website can display just the right message to connect with each visitor individually. 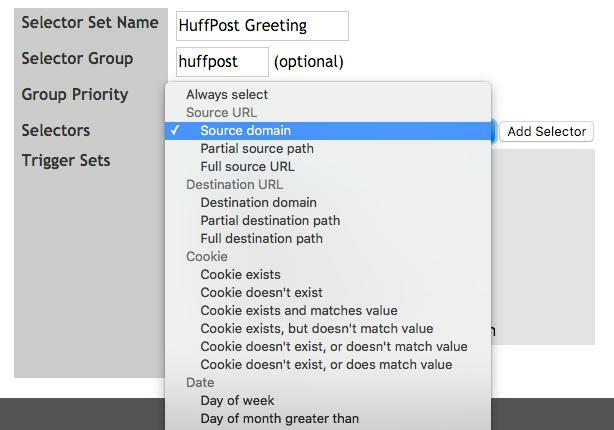 Got a link from the Huffington Post? Display a custom welcome to people who come to your site from there! Test different versions of your promotional materials against each other using Google Analytics integration. And rather than guessing whether you have enough data for valid results or not, use TriggerNote's built-in statistical analysis to make the right call. When the green light says you're good to go, you can say with confidence that you have a winner. Compare features and pricing to the competition. This video will give you an overview of how to use TriggerNote on your website. It demonstrates "the hard way" to create Trigger Sets -- be sure to watch some of the other videos to see how Recipes make it easy. This video shows how Recipes make TriggerNote easy to use, and also demonstrates the Exit Hover (exit intent) Recipe. 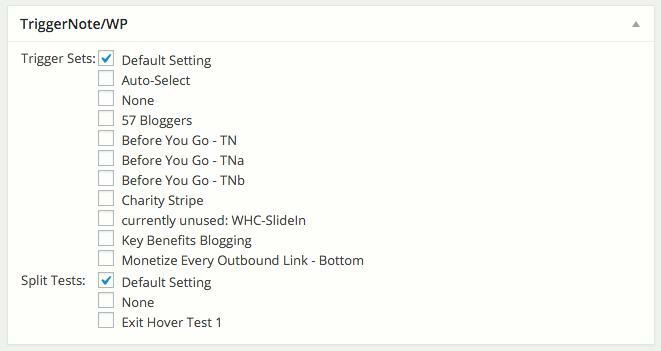 This video shows how you can monetize every outbound link on your website with one quick setup using our Exit Interstitial Recipe. This video shows how to reclaim key space on your website by replacing page elements that a particular visitor no longer needs to see with something else. This video shows how to display website content sequentially to each visitor regardless of which path they take as they click through your website. It demonstrates one of many ways to use TriggerNote's tracking cookie and cookie features. This video demonstrates one use of TriggerNote's Selectors -- keeping seasonal or holiday ads and content up-to-date automatically. Delayed hover opt-in forms can be an extremely effective way to increase subscriptions to your email list. This video shows how to set them up quickly and easily using TriggerNote's "Delayed Hover" Recipe. ...with many more to come. Day of week, month, year, etc. for a full refund, no questions asked.